Travel experiences truly come into their own when you have a camera in your hands. This is even truer if are confident to use your camera. Taking a photography workshop or photo tour is one of the best ways to guarantee your results are memorable. Often when traveling you will not return to the same place twice. The pressure is on to capture the essence and feel of cultures, landmarks, the food you eat and the people you meet. Time and lighting conditions may well work against you. However, the more confident you are with your camera, the less the risk of failure. I am biased because I teach photography. Of course, I am going to encourage you to book a photography workshop when you travel. I do this because I know you will benefit from the experience. Not only during the workshop but throughout your travels and life of photography. Venturing to new places and unusual surroundings is challenging. I love following our students on Instagram. 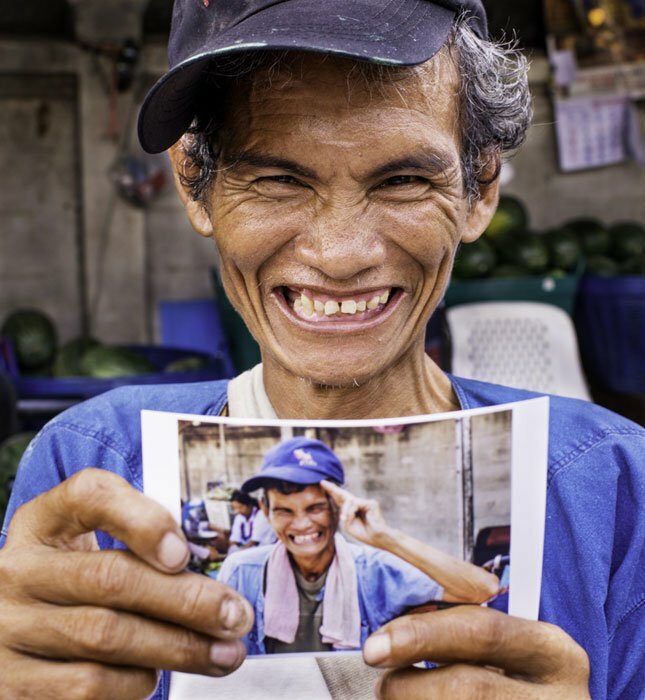 When someone’s joined our travel photography workshop in Thailand it’s a pleasure to see their work progress over time. After taking a workshop many will continue to travel in Thailand and throughout Asia. Seeing their photos improve during the workshop and in the following weeks and months is exciting. To make the best photographs in the short span of your visit will take some planning. The internet makes it easier than ever to find information. At times, especially if it’s from unedited sources, (like many blogs,) the quality of information may not be so reliable. Reading more than you think you need to will give you are a pretty good idea of far-flung places. There’s plenty of people who write about off the beaten track hidden gems. You might even find other photographers who’ve blogged their experiences and opinions on where it’s best to take photos. If you participate in a local photography workshop in Thailand or elsewhere you can be sure you’ll end up in fantastic locations. A good workshop leader will be an expat living in country or have done their local research thoroughly. Photography workshops focus not only on finding photo opportunities but on learning camera craft. 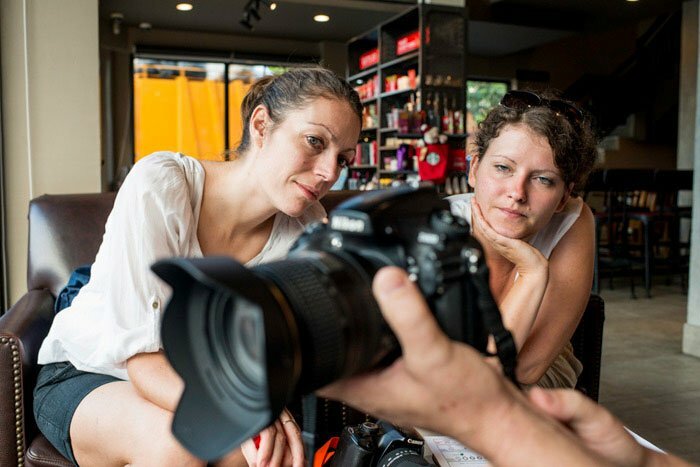 We’ve been teaching photography workshops in Thailand for years now. We know the best places for many styles of travel photographs. Our workshops visit multiple locations, but never rushed. 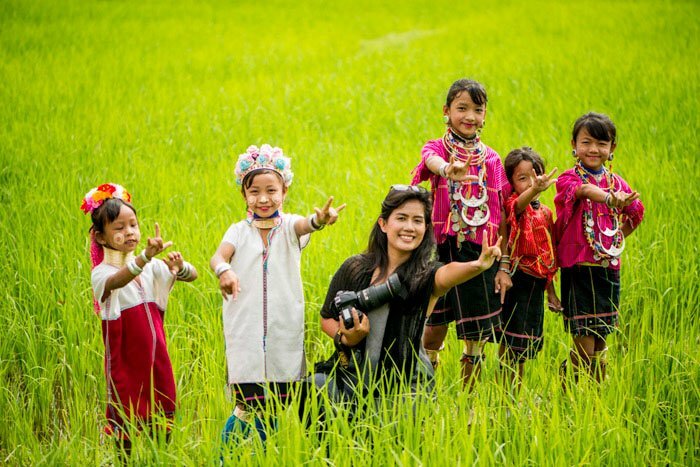 You need time to learn and to capture the essence of the town, market, hill tribe village or where ever else you find yourself. 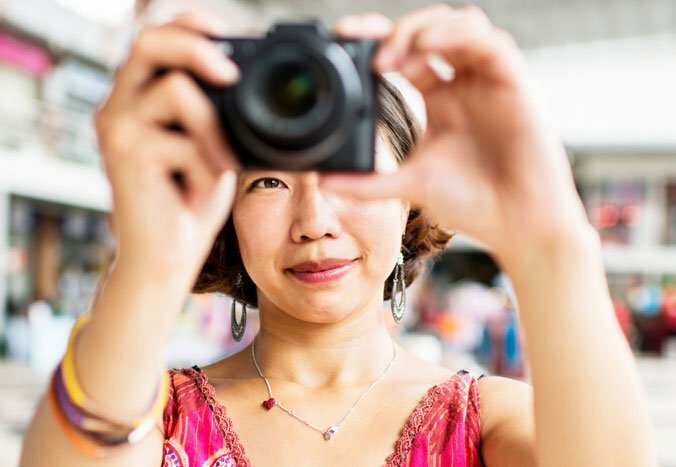 Mostly travelers who take a photography workshop with us in Thailand are less than confident with their cameras. By the end of a workshop they leave having learned more than they’d thought was possible in a day or two. Booking a longer workshop will always enhance this experience. It allows us to teach in more depth. 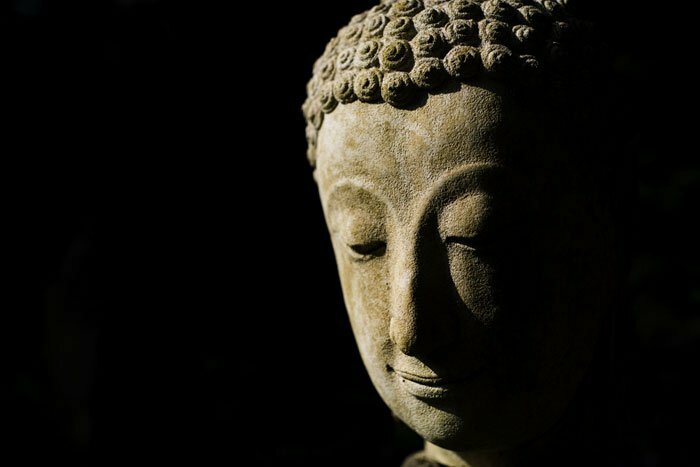 It means you will experience corresponding depth in the development of your creative process. You will gain a greater belief in yourselves as a photographer. You will be equipped with knowledge that allows you to achieve more with your camera. We started Chiang Mai Photo Workshops because we saw so many tourists with cameras who were not confident using them. Experience has taught me to see how a photographer works with their camera and know if they are assured of what they are doing. I see people’s anxiety as they use a camera. They’ve made a significant investment in it yet lack conviction their photos are any good. Teaching photography workshops in Asia is a pleasure. It’s like good therapy, for us and our customers. We love being able to take people beyond the doubt of knowing whether their photos are any good. 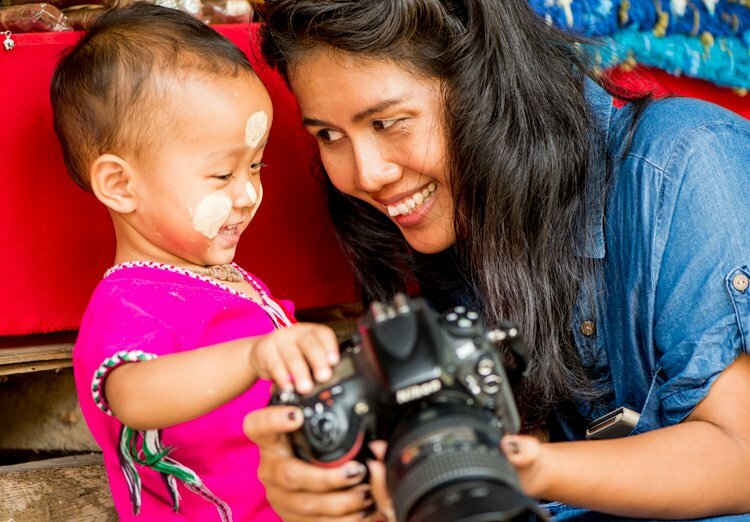 Helping them make photos which truly tell the story of their journey in Thailand and beyond is enjoyable. When you join a workshop your experience is also therapeutic. You can gain knowledge and hands-on technical skills. You are guided by teachers with ample experience. Our teaching is more about photography than only managing your camera settings. A good photography workshop will also include cultural elements. A heightened awareness of surroundings, culture and local people is second nature to an experienced travel photographer. Learning how to do this when you travel will open up more photo opportunities than you may imagine. Books, blogs and videos will not teach you this information so well. A workshop with a photographer who lives in country and has built relationships with the people will be far more immersive. 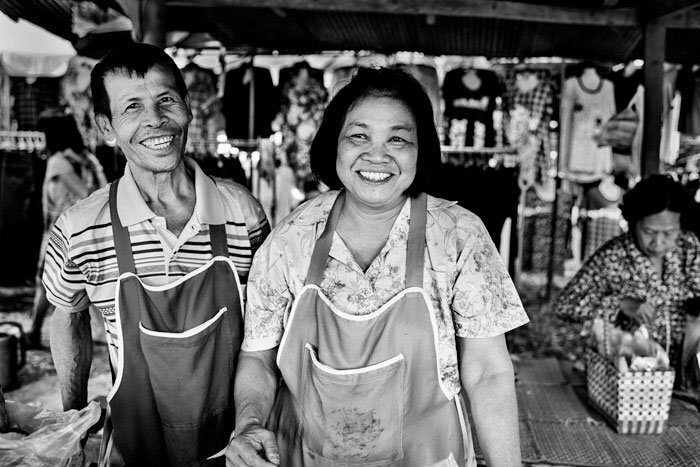 When my wife and I first set up our business we started out as Chiang Mai Photography Tours. I realized after a while this did not honestly reflect what we were doing. We changed the name to Chiang Mai Photo Workshops. This is more in line with the teaching we provide. Photography workshops and tours vary in a number of ways. It’s good to be aware of the differences before you book. Effective learning takes place in smaller groups because you have more of the instructor’s attention. Photography workshops are designed to give you more than just a tourist experience. During a workshop you will learn at whatever level of photography you are at. Much of this will depend on the photography experience and teaching ability of the workshop leaders. Our workshops in Thailand and throughout SE Asia are always small. Our one-day workshops have a maximum of four people. We will run most of our workshops with just one participant if that’s all the bookings we get on for a particular day. We’ve set ourselves a standard to provide the best photography education we can. We like to make sure customers have the best experience possible, so group numbers are small. Joining a photo tour you will probably be part of a larger group. The tour guide will presumably give you some basic cultural information. They may explain something of the locations and what you are seeing. There will be no actual photography teaching. You will have to make do on your own at each location and may come away without decent photographs. You certainly will not learn how to make better photos of the next travel stop. Taking a workshop will equip you to be more proficient with your camera in any location or situation. By studying your camera and having hands-on experience with someone to guide you, you will retain this knowledge. Websites like Trip Advisor are useful to find out how other travelers have experienced a workshop. My very favorite reviews are from workshop participants who share their appreciation of our teaching ability. We focus on clear and concise teaching at whatever level of experience our workshop participants are at. It is important for us to share our experience and expertise in a way that is easily understood. To this end we are continually studying, reading and writing about photography. People who enjoy travel photography often have a good idea of their level of ability. A good workshop leader will inquire about a participant’s experience and camera skills. This will enable them to teach at an appropriate level. If you are part of a large group on a photo tour, you will not receive that kind of attention. Taking a photo tour is valuable if you have limited time and are already skilled with your camera. If you have limited time in a place a guided tour is also advantageous. 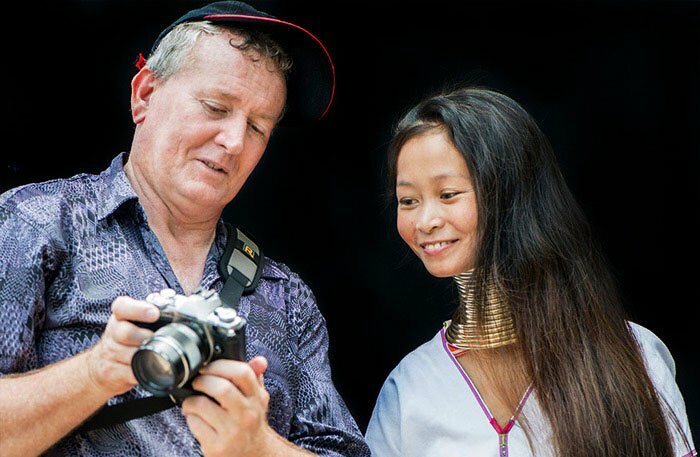 Be careful to check reviews of as I know of some Chiang Mai photography tours that are just a regular tour. Some companies will market themselves aimed at photographers. They may not offer anything really related to photography so it pays to check. We decided not to take Chiang Mai photo tours. Our preference is to provide value and quality with our photography workshops. We teach photography to small groups or even one on one. By participating in this style of workshop you will take great photos on the day and into the future. You’ve made a good financial investment in buying a quality camera. Sure, your camera can do a lot on its own. The automated features of modern digital cameras are impressive. But you did not buy your camera to use it like a point and shoot, (at least I hope that you didn’t.) Investing a little more in a photography workshop will give you skills and motivation. Without understanding the essentials of your camera you will not bring it to its full potential. Your photos will look just like everyone else that uses an auto or semi-auto mode. This is because the camera is making too many of the creative decisions rather than you. Learning to manage the settings on your camera puts this creative control in your hands. Tutorials and classes can be found easily enough on the internet, we even have a few. One of them we give away free to anyone taking a travel photography workshop with us. This course is a backup and refresher for the teaching we give during the workshop. Our Ten Top Tips course is free when you sign up for our newsletter. Online learning is very convenient, but it does not always answer questions you may have. It has its limitations compared to learning with an experienced professional photographer. Taking a workshop gives you first-hand experience of working alongside a teacher. Seeing how they work and having them explain why they do certain things in certain ways adds a depth you will not find with online teaching. Before booking a workshop read about the experience of the leader. There are many very seasoned professional photographers who are now choosing to teach. I prefer to teach photography workshops in Thailand for a number of reasons. I’ve spent my career pleasing corporate clients and editors with the photos they commissioned. Now I prefer to work on my own photography and share my passion with others. My decades of having to provide photos in whatever situation, lighting or weather conditions has been a wonderful experience. This allows me to teach many skills and styles in any location. Not all photography workshops are run by independent photographers. Some are working for larger, sometimes international, larger companies. These companies are generally profit oriented and hire inexperienced, younger photographers as teachers. Someone running their own business is more likely to be enthusiastic and passionate. An older photographer is more likely to have ample experience, but not always. It pays to check out their bio and look at the photographs as well. A good portfolio of work on a website is usually a clear idea as to the skills and experience a photographer possesses. Look for galleries of work and at the photos throughout a photography workshop website. If you like what you see, this is a good indication. Be careful though to check they are not stock photos which have been purchased to populate the website. Often photographers will write a blog and may even have articles published on other websites. Reading their stuff will provide you with a good idea as to how well they communicate. Many famous photographers have been offering workshops for years. National Geographic photography workshops are taught by the men and women who fill the magazine’s pages. Naturally, they are talented and experienced. The price you pay for the name will hurt your wallet. The return you receive for this investment may be disappointing. Many famous photographers often work with larger groups. This means you receive less personal attention and may be dealing with a big ego that gets in the way. I am certainly not saying they are all like this. I am sure that many great photographers proved great workshops. I am encouraging you to do your homework first. 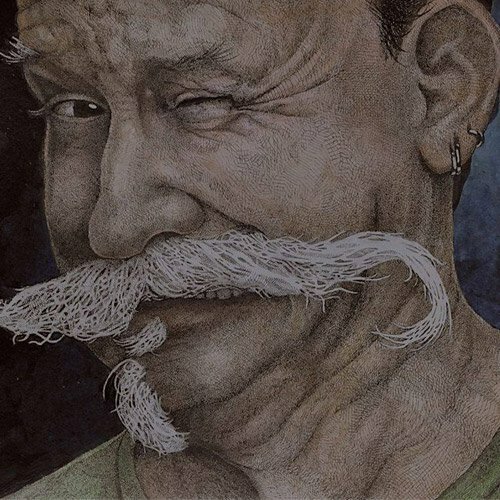 Read the reviews. Find out whether paying more is worth it and what the group sizes are. Photographic style is important. 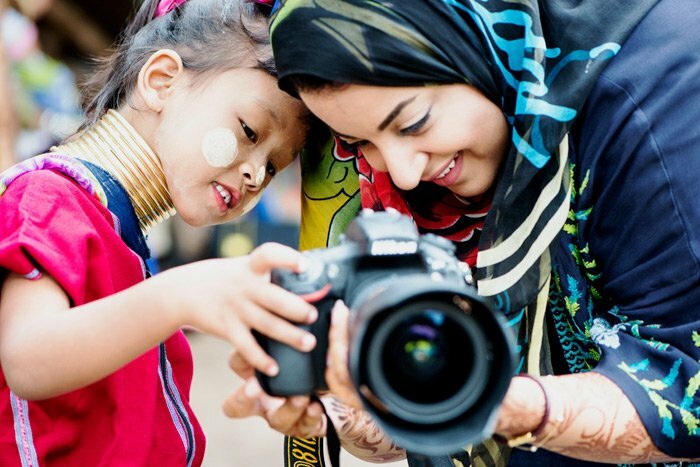 We run our photography workshops in Asia mainly on documentary and street style photography. A lot of what we do includes photographing people. This is a little unusual as many travel photography workshops tend to concentrate on place and landscapes. Checking our the type of photography a workshop focuses on is important. This should be expressed clearly on the website or in an email you receive when you first inquire. If it is not clear, ask questions before you book. It would be a sad experience to book a workshop only to discover when you are taking it the options covered do not interest you. Photographs on the workshop website should also give you a good idea of what’s involved. If there are very few photos on display it would pay to be extra cautious and ask questions before you book. You will want to know about the photographer’s experience for teaching the style of photography the workshop covers. This should be evident in photos on the website. Being taught by a photographer who’s working where they live has many advantages. Whether it’s an expat or a native person, they will have the advantage of local knowledge. A workshop leader touring in with a group will usually hire a guide. If they have a good longstanding relationship with the guide this is great. 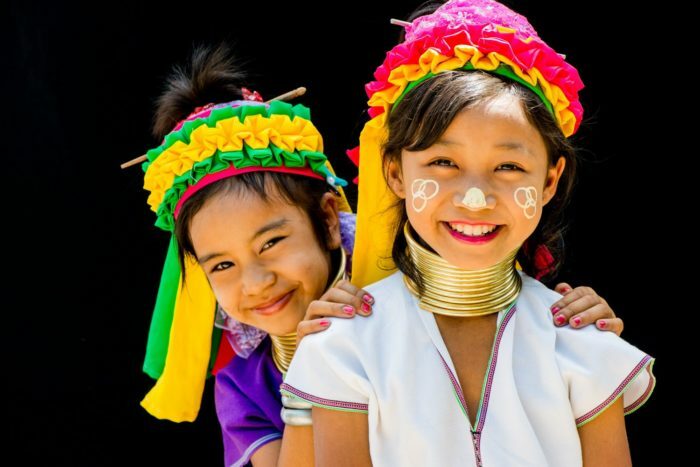 Our focus is on running photography workshops close to where we live in northern Thailand. We know and love our local environment. The places we’ve been taking workshops for years are still our favorite locations to visit. We make a point of building relationships with the people at the markets and in villages. The benefits of this flow down to our students and they get more natural photos of them as a result. Often we get inside information on when special events and festivals are happening. The relationships that we have built up over the years are very valuable. People love being involved too. Every so often we’ll have prints made of the people we’ve photographed and given them out next time we’re visiting their location. the experience as enticing and stimulating as possible. Don’t be shy and stand back. You have to take part. 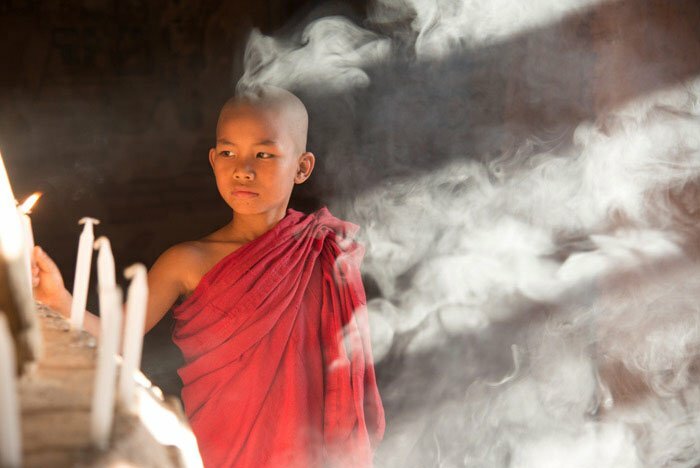 Participating in a workshop can take the pain and fear out of travel photography. You can trust those leading as they are experienced and committed. The more passionate you are in your participation the more dynamic your photographs will be. How Many Travel Days Are Included in the Itinerary? Workshops often span ten or more days. Half of these may be travel days. Not much photography will happen on them. Photographers leading workshops from outside a country typically include a diverse number of locations. Having this variety is great, but it comes at the expense of more travel time. Especially in developing nations roads may be very rough. Flight and train schedules do not run on time. These issues not only add time to an itinerary, they can also induce a great deal of stress. What Standard of Accommodation Can You Expect? Particularly in out of the way places you will want to know the standard of accommodation the will await you. There’s nothing worse than ending an exciting day of photography and not being able to sleep because the bed is lumpy and hard. You want to make sure you will be fresh and ready for more adventures the following day. Accommodation may not always be five star, but it should be comfortable and clean. If there are no photos or descriptions of accommodation arrangements, ask. The workshop provider should be able to put your mind at rest. Do I need my own sleeping bag? Is there safe storage facilities for camera equipment? Everyone has varying standards. At times you may have to compromise, because in some locations there are no options. What’s Included/Excluded From the Price? Some things may or may not be included. Entrance fees to national parks or other locations. Two things which are typically not included are alcoholic drinks and items of a personal nature. How Much Camera Equipment Should You Pack? I have made the mistake of traveling with far too much camera equipment. All it does is slow you down. It’s no fun lugging around more weight than you need to. The temptation to pack more is real for most photographers. Fearing you’ll miss capturing that one photo. You’ll pack your 300mm f2.8 lens to frame the dear on the hill top horizon at sunset. You’ll stow your 500mm for the Yeti as he ducks out from behind a tree across the valley. Those two extra flash units just in case one fails. Most often superfluous gear will mean you miss opportunities because you are too weighed down. I think it’s most important to be comfortably mobile. Be sure you can carry your bag all day and not get worn out by it. You don’t want to get to lunch on the first day exhausted because you are carrying too much gear with you. At the same time, you do not want to be lacking any essential equipment or run short of memory space or batteries. I’m not sure if you could find it, if it actually exists. Different photographers will appreciate variety, others will want to sit and wait for days for the Yeti to appear. Hopefully this article has provided you with helpful information towards choosing your next travel photography workshop. While you are here on our website please take a look at the various travel photography workshops we offer in Thailand and SE Asia. Ranging from one day/night to as long as you like. 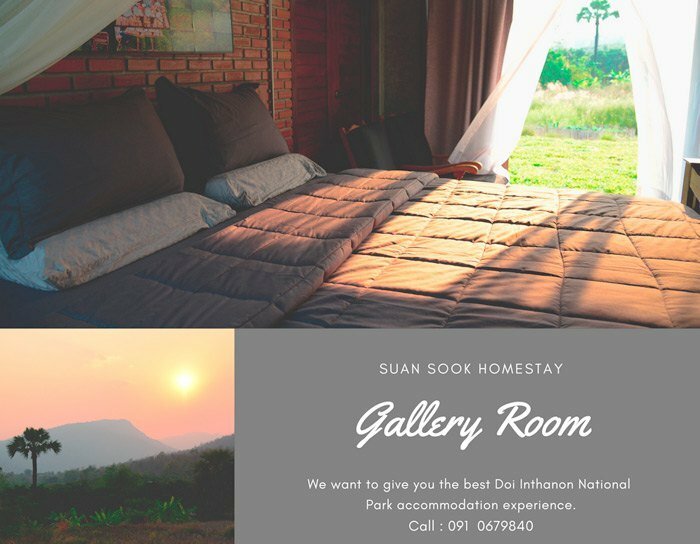 This workshop is based at hour home, which is also a bed and breakfast named Suan Sook. We will customize a photography workshop to best suit you. 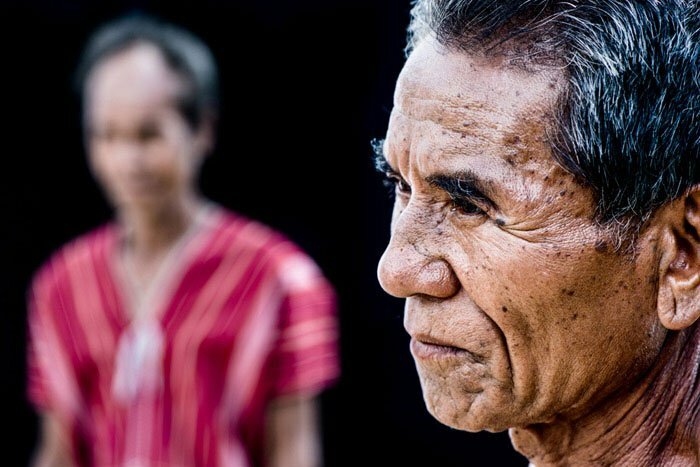 Also based at Suan Sook, this is a special workshop taking in amazing rural Thai culture. The main focus is a visit to one of the nearby weekend markets. We also spend time looking over and talking about the photos you take there. 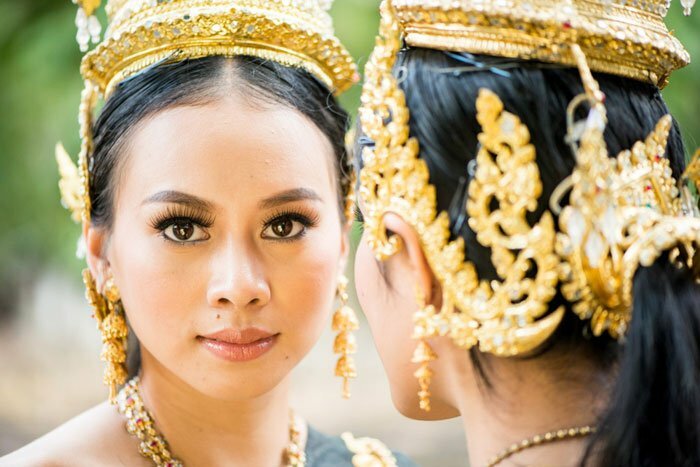 This is a five-day workshop including a number of sessions with models in traditional Thai costumes. We visit diverse and interesting locations with amazing photo opportunities. Most travelers never have an experience anything like this workshop. This is out premium customized workshop which includes 3 months of mentoring after the workshop. It also includes a 50-page book of your photos from the six days you spend with us. This is one of our most popular Chaing Mai Photo Workshops. 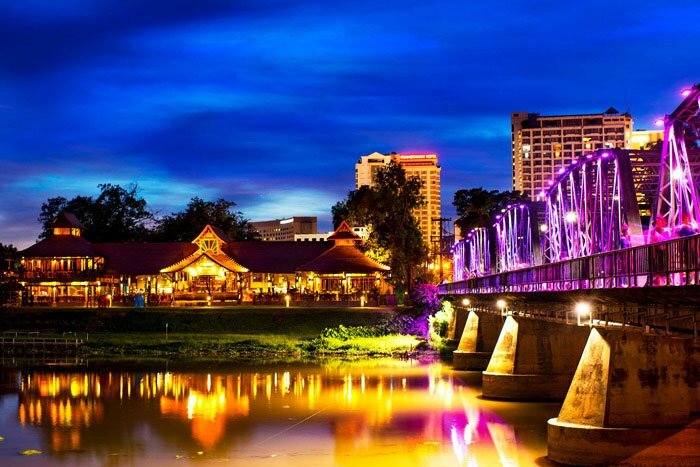 Chiang Mai city is lively yet operates at a relaxed pace. During this one day workshop we visit some of the most photographic locations. We spend the day a little north of Chaing Mai. 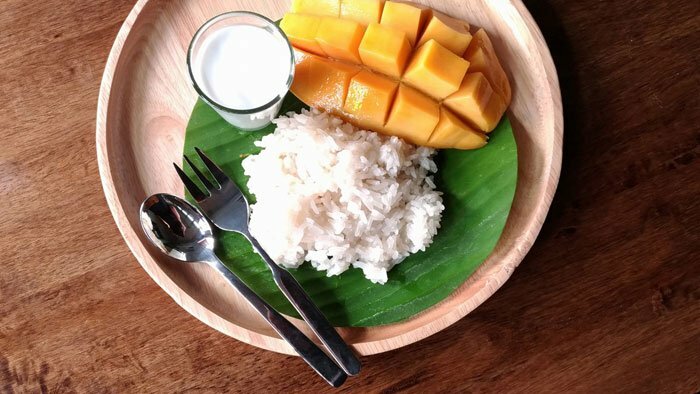 Baan Thong Luang is an eco-village with a number of different ethnic minority people dwelling there. They live and dress traditionally. Over the years we have been visiting we’ve built up some lovely relationships with the people there. This means we have a lot of fun and you get better pictures. 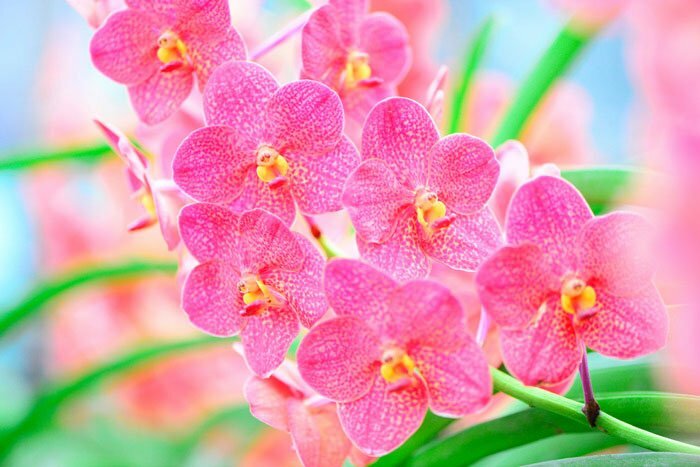 We also photograph a fabulous temple and orchid gardens. 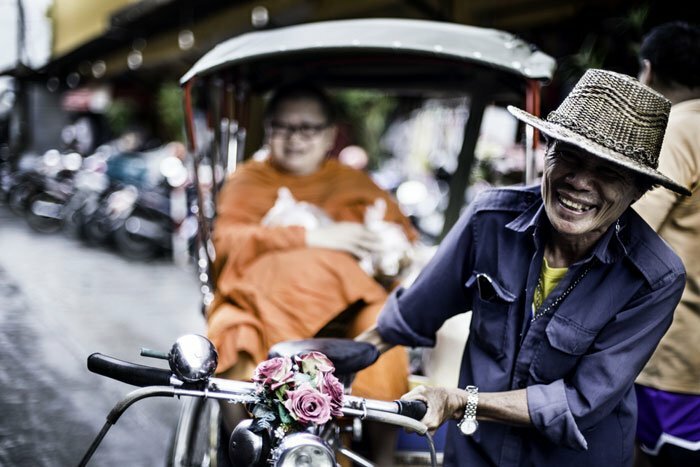 Our Northern Thai Experience workshop is a combination of our other two one day Chiang Mai photo workshops. The morning is at the bustling fresh markets and the afternoon is spent at the hill tribe village. We’re open to just about anything. I have traveled to and photographed throughout SE Asia and all over Thailand since I first visited in 1988. We can organize a photography workshop in SE Asia and travel with you to where ever you’d like to go. If you’re heading to Chiang Mai take a look at my blog post Five Day Photography Workshop in Thailand.